Wow, what a brilliant day. Our journey began at Wigan train station, we caught the train to London with Marge the star of the show was being cooed at by all the school children on the train. She took it all in her stride! 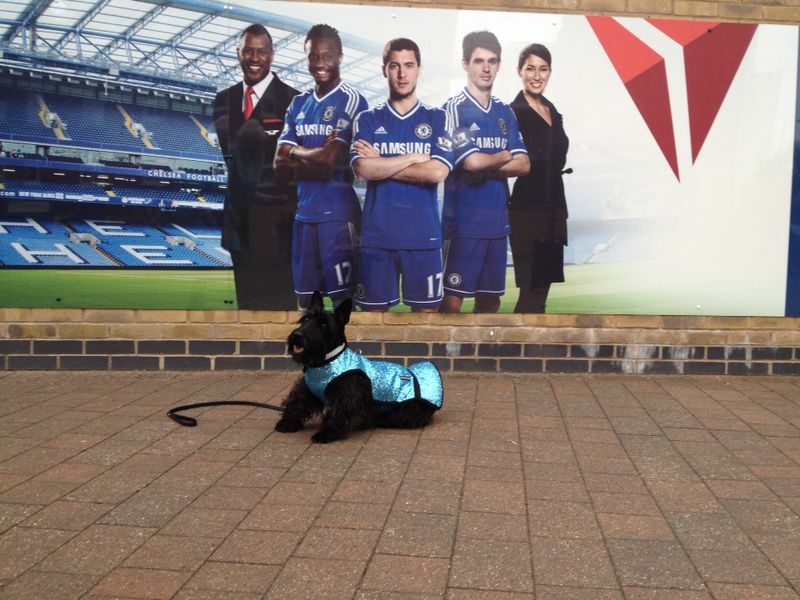 During our visit to London Marge was a little star. Our first boutique Marge was greeted with squeals of delight by the customers outside the shop. She then had to fend off the attentions of 8 chihuahua’s marching round the shop thinking they owned the place. Then it was off the Covent Garden, and by golly did every person walking past looked at Marge in either Awe or just plain disbelief. She marched round in her little Blue Sequined Pawberry Peplum Coat as though it was her catwalk. Marge was here to help model the coat in the shop to show the potential buyers how it would look on a dog. Next stop Chelsea. 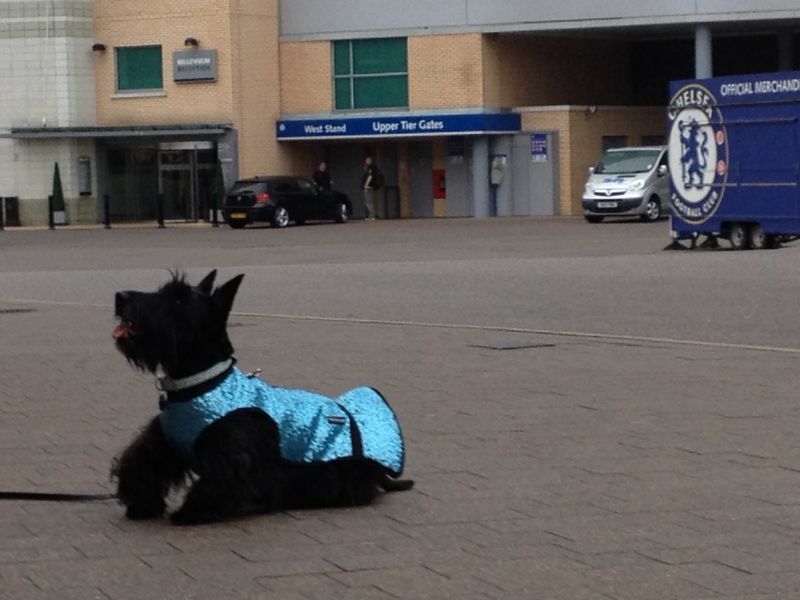 Well as Marge was in a Blue coat we thought it would be rude not to get a piccy outside Stamford Bridge. Of course Marge was again on top form. Our last boutique was the real deal as they were in Awe of the Sequined Dog Coats and Marge’s lovely temperament. This really sealed the deal for us that day and we now have one of the most exclusive boutiques in Chelsea stocking Pawberry Designer Dog Wear. We would like to say a big thank you to Marge and Cath for their help in our quest to promote our brand Pawberry. Our chosen Charity will be the STECS and we will donate £1 for every coat sold via our website www.pawberry.co.uk.